Ghost or angel, you never leave me. in the husk of a woman; to peel over bruises. eye of seed and fruit, sees only you. with fever, will smell a new life crowning. Ama Codjoe is an educator, dance artist, and emerging poet with roots in Memphis and Accra. She received her B.A. in English from Brown University and her M.F.A. in dance performance from Ohio State University where she was a Presidential Fellow. 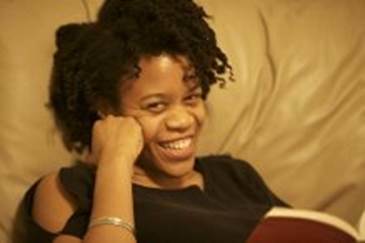 Ama has received fellowships from Cave Canem and Callaloo. Her poems have been published in the Tidal Basin Review, Washington Square Review, and The Feminist Wire. Ama currently lives in the Bronx, New York where she is the Associate Director of the DreamYard Art Center and the Lead Teaching Artist of the arts and activism program, The ACTION Project.